Reporting from Kumparan, the Love Movement of the Republic of Indonesia (Gercin) of the Papua Province asked the security forces to continue to provide legal action to armed criminal groups (KKB) which still disrupt security in Papua. This pressure was made following a statement by the West Papua National Committee (KNPB) which stated that it rejected all activities carried out by the TNI / Polri in law enforcement efforts against the KKB. Gercin DPD Chairman Albert Ali Kabiay said the KNPB could not intervene in the security forces' law enforcement of armed groups in Papua, including the KNPB's prohibition on building security posts in the central mountainous region of Papua. 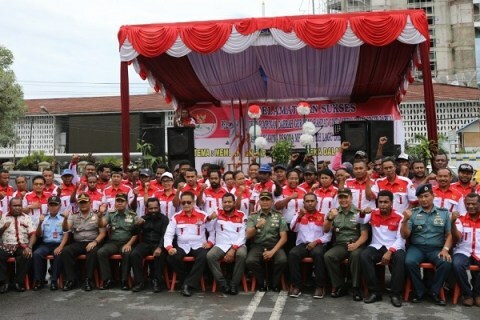 "Gercin and all elements of youth in Papua, support the TNI / Polri to eradicate the KKB. "This includes capturing intellectual actors who foster the issue of separatism and the disintegration of the nation in Papua," Albert explained on Sunday (11/18). Gercin also suspected that funds were used to support losgistik and separatist movements in Papua. So the KPK must be more intense in looking at this problem.